Transparent Cubes to display complex structured activities for Microsoft PowerPoint. Use 3D Cube Segments to Represent Business Processes and Structures. The cube as a geometric object can be used in a wide variety of ways. Thanks to its shape and the different ways it can be broken down, a cube graphic is ideal for visualizing diverse business processes and structures. 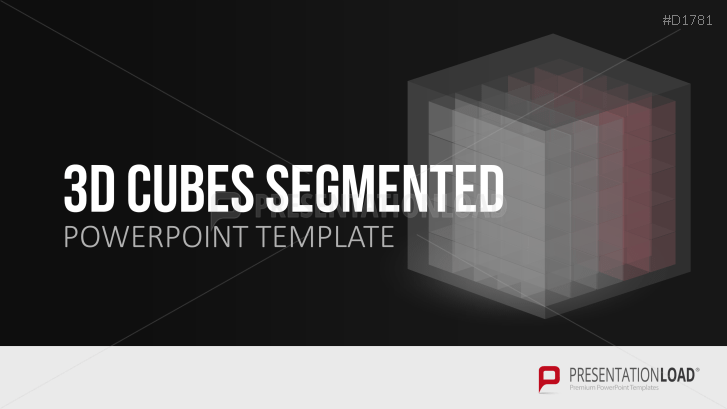 Our PowerPoint template provides you with various graphics of three-dimensional cube segments, allowing you to accurately define and present complex structures and processes from different perspectives. For example, you can use a transparent cube graphic to represent an entire system, or a cube network graphic to delineate individual processes.